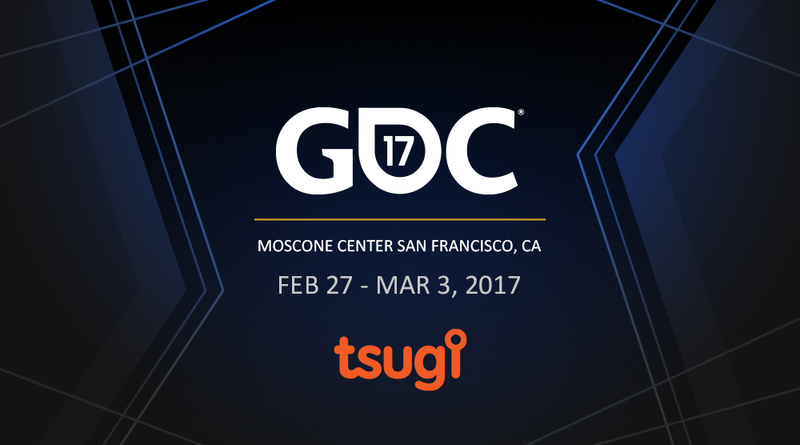 GDC 2017 is just around the corner and we are thrilled to be part of this major game industry event taking place in the Moscone Center in San Francisco, Feb 27th to Mar 3rd. Visit our partner CRI Middleware’s booth (South Hall #316) to get a first look at Tsugi’s newest game audio tools or send us an email at gdc@tsugi-studio.com to book a personal meeting. We will be demonstrating the brand new version of Alto Studio, our powerful and versatile audio dialogue tool, as well as GameSynth, our procedural audio middleware. Of course, don’t hesitate to ask us about our other super-productive and creative tools and how we can help your team deliver awesome immersive audio with our R&D services!